Why is WordPress better than a static html site? • Once your site is setup, it’s easy to add content yourself. You are not reliant on someone else getting your last minute content up there . You can add updates yourself. • Google sees the site better out of the box (98% of all searches are done on Google), you have more control of your site and it simply offers interactive elements that a regular html site does not always have. Not that they can’t be added in some way, but with WordPress they are integrated directly within its blog infrastructure. This blogging infrastructure or platform can be used for websites. 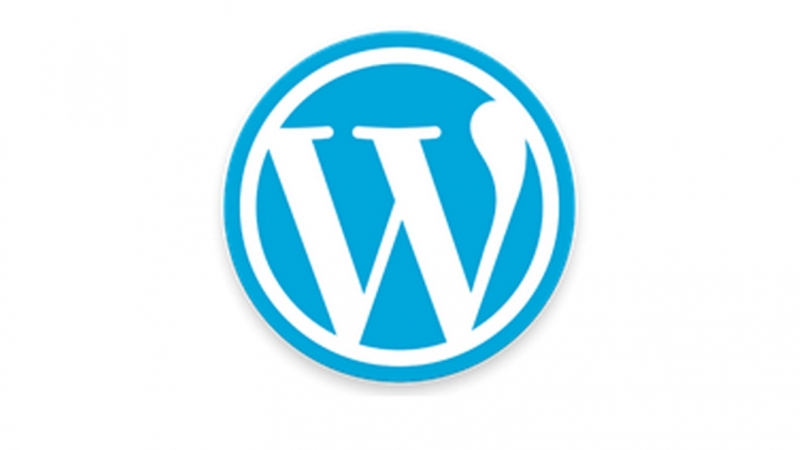 WordPress is the number one content management system. • Basic SEO plugins can be added along with social networking (standard in WordPress Themes now) to make it easy to get connected. • Many WordPress “Themes” (the basic design and infrastructure) are what is called “Responsive” which means they adapt to devices such as phones, iPads and other hand held devices; sizing down to be compatible. Regular HTML sites do not do that unless they are specifically coded for that. • WordPress allows for Comments on Posts if you like, creating an integration with site visitors that is not easily done with a regular HTML site. • There are multiple authors/access levels/logins possible. • Allows for a website feed off the site that people can subscribe to. You can also add subscription plugins to your site or integrate with newsletter services such as MailChimp, AWeber, Constant Contact etc. • Content is easy to share. • Every Page and Post can have its own Title, Description and key words (tags) for SEO. Search engines are interested. • About Hosting: Make sure the hosting you get has automatic installation for WordPress on your server. This just makes it easy! Also check and make sure they are wordpress friendly and knowledgeable. One hosting company I really like is Siteground. They have 24/7 chat and unlike most hosting companies, they keep an eye out for any malicious files appearing on your shared server and let you know to remove them. Other hosting companies I’ve worked with are Godaddy.com, Wpengine.com . • As time goes on you you may want to change the basic design or theme of your site. Making a theme change is relatively painless (make sure to backup your site files and database beforehand). Once the new theme is loaded, the design changes across the board on every page and post. *Note you may have to spend some time getting it all looking right once you change the theme as sometimes there are differences in setup and look. • The WordPress infrastructure updates several times a year and it is suggested you keep your site updated. Also plugins must be updated monthly. These updates are necessary to keep your site as free from hacking as it can be. • Sometimes your Theme will need to be updated too. Make sure you save any custom CSS you have added to your site before hand if you are not using a Child Theme or the Simple CSS plugin. I like to have a text document with any custom CSS handy as well just in case. • There are security plugins you may want to use like: Wordfence, Sucuri-Scanner and Brute Protect. There are many out there see what works best for your site and theme. I recommend getting the people at Sucuri to clean it up. Hacks are pretty insidious these days and removing the hacked code is tricky. Eventhough you think you got it all, there can still be a script that re-initiates the hack later. • It is necessary to backup your site and database whenever you update your WordPress so you have a solid backup that you can always revert to. Doing this can be a bit of a hassle but believe me if it ever happens that you need it, you will be so glad to have those backups. Backup of the files themselves can be done through your FTP. Normally you backup the database either through your hosting account (SQL database) directly or you can install a plugin to assist you. Check the WordPress Plugin Directory. They check out their Theme designers. I usually try to go for themes that have had a good amount of sales. If someone has only one theme they’ve created and only a few sales, just know you will be the guinea pig for that theme. So I always try to buy themes from long established theme creators who have a good amount of sales. You can easily see that information on the site. Great selection of themes for musicians. Meet other WordPress creators, admins and gurus!